Shi Yong Xin is the abbot and support our Chinese kung fu school. Read firsthand reviews from past students. Kung Fu Performance Team Performing Shaolin Kung Fu The performance team performs Shaolin kung fu in an excellent kung fu performance. April 2013,students completed Hongkong KungFu competition.. 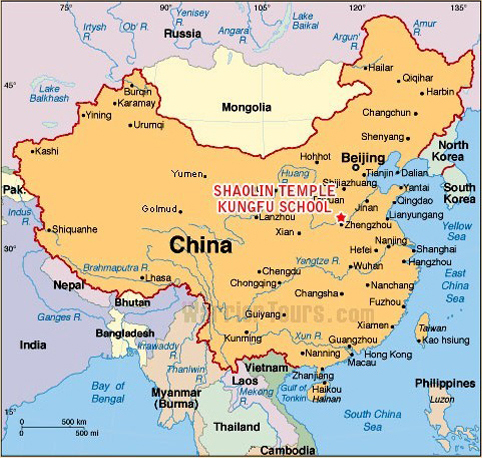 The International Liaison Department of the original Chinese Shaolin temple has authorized us as only one martial arts academy training school to enroll students to study in the Temple.We welcomes student from around the world to learn Shaolin Kung fu,Sanda (Chinese kick boxing),Chi Na,Tai Chi,Chi kung ,Ba Duan Jin,Yi Jin Jing, Xingyi,Baji,Wu Qin Xi,Meditation as well as Chinese traditional martial arts.This training center is constructed with the support given by the Abbot Shaolin temple. The masters here are the traditional Shaolin monks of temple. The students not only can learn traditional shaolin in thousands of years' temple,but also can explore the life way of Shaolin monks and its culture.After finished training herer, we will offer normal certificate to you. This Shaolin school is built in the Song Mountains shaolin temple,that the building center with its architecture was listed as a UNESCO World Heritage in 2010. The Shaolin temple is the original place for shaolin kung fu and Zen Buddhism ,that has offered a unique place to learn Chinese kung fu.There are many tourist attractions, historical places around us,you can enjoy it for free. The city we located is in the cultural & history city,Dengfeng,near Zhengzhou city as the traditional birth village of Zen & Buddhism society.We also accept visitors coming here to visit the Shaolin temple for a few days, we can help them to live at the nearby hotels,they also have an opportunity to learn kung fu, the Mandarin language, acupunctures, massage and culture. Review from Rinesh.I spent one year in shaolin Monastery kung fu school in 2013,and it is great to train under shaolin warrior monks inside shaolin temple, I have learned traditional Shaolin kung fu and how to use my body, improve my health and spiritual life.It is real disciplined life. I have been pushing myself every day and really focused on the basics. At Shaolin one school is like a family. 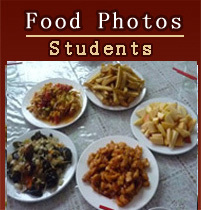 The surroundings are great!...Click more to see many student's great positive Reviews.. 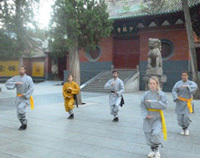 There are many fantastic tourist attractions near our school For the students who travel to China to learn shaolin kung fu in our Shaolin temple, we offer them the best locations for peace and practice. The benefits of learning chinese martial arts can be enjoyed by all ages,that not only can learn self-defense, but also can enhance health physically and mentally ,confidence, flexibility & stamina. and is also beneficial to kids and teens ,that make them discipline and self-worth now and later in life. .Older students can promote health and longevity by learning internal Kung fu, such as Chi kung,Taichi and traditional shaolin forms. View photos of students practicing kung fu. We serve nutritious meals every day. One to two students share one of our comfortable rooms. Study Chinese Mandarin with a Chinese language teacher. Step 2: Fill out application form. Step 3: Pay application fee. Step 4: Obtain Visa &book flight. Our location in Map of China. Dengfeng City, Henan Province, China.